Handy Backup turns Prestashop backup from a separate action requiring a lot of knowledge and skills to the part of any complex backup strategy you can invent for all your data. Backup Prestashop with Handy Backup is server-independent, versatile and quick, for both static website data and databases. The Principles: Why You Need to Save Prestashop Data? As any other backup, creating a copy of Prestashop site content can serve some different goals. For example, it provides a protection from disasters, not too scarce in the world of IT. Another target is the migration from one hosting to another, as well as creating mirrors or copies of the website. Principles of saving Prestashop content are not quite different from any other backup principles. Let us mention the most important of these principles. Automation. Backup is not a sort of creative activity. Therefore, the more job some backup solution undertakes for user, the more time will it save for tasks that are more important. Security. Backup techniques applied for data, especially transferred online, must be secured by some effective way. In addition, the information stored for keeping also needs security. Unification. 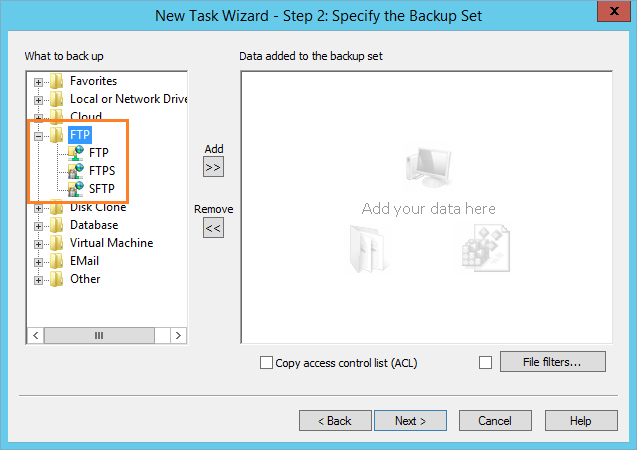 The backup tool must be able to process a versatile dataset as backup source, not only one single data option. It is necessary for organizing any advanced backup strategy. Quick restoration. Any information stored as backups must be accessible for any moment when the user feels a need to restore it. The process of restoration must be automated, too. Scheduling. Backups must be regular, or else the effectiveness of any backup strategy is dubious. Therefore, tools providing automated scheduling are quite preferable for backup. Traditional tools for backing up, such as PHPMyAdmin utility or some Prestashop backup module, lack one or more of these advantages. Therefore, commercial tools such as Handy Backup can do much more for organizing Prestashop CMS backup than handmade scripts or non-dedicated utilities. You can backup Prestashop 1.6 using the built-in tool called DB Backup. As shown in the name of this tool, it forces Prestashop backup database, and takes no care about static website content. Another problem of DB Backup is that restoring Prestashop after it will require PHPMyAdmin utility. Another way to backup Prestashop data is using some Prestashop backup module. Most of these modules are definitely cheap and have a good performance when saving data. The main problem of these modules is very restricted functionality, allowing backing up no other data than Prestashop. By contrast, Handy Backup allows saving data of any type existed along with Prestashop website. It can back up Prestashop as any other CMS via FTP, FTPS or SFTP, connect and backup Prestashop database in a “hot” mode, and save all other data you need to save – as a single automated action! Many options of data storage, compression and encryption, scheduling backups, using different methods of backing up like full, incremental, differential and mixed backup, chaining other programs with the backup task makes Handy Backup a perfect solution for backing up Prestashop. Backup Prestashop with Handy Backup Small Server edition. Start Handy Backup. Then create a new task by pressing Ctrl+N, by selecting a “New task…” menu option or by clicking a button on the management panel. Select a backup task. 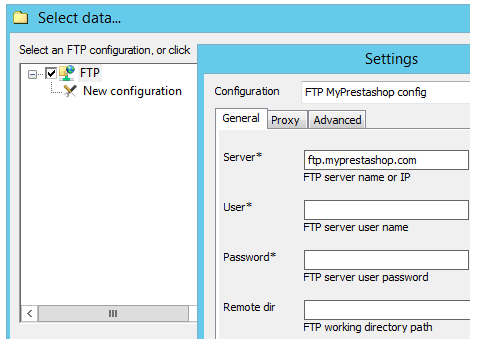 On the Step 2, select FTP, SFTP or FTPS as your typical connection option to connect your Prestashop web hosting. Select the “New configuration…” item and double-click on it. In the window appearing, enter all your Prestashop connection parameters. Test if the connection is successful. Press “OK” and continue creating your task. Select all CMS data you will plan to back up by marking selected items with checkboxes. Now select your Prestashop backup database engine among Handy Backup data options. Again, create a new configuration if you need, and ensure the access to database by testing the connection. Again, mark with checkboxes database components you are plan to backup. On the Step 3, Handy Backup allows you to select your desired data destination among many types of data storage media. Choose the perfect storage for your backups and continue. Now you can select the backup type and set up versioned backup rotation for full backups. On the Step 5, compress and encrypt your files if you feel a need for it. 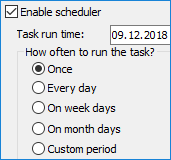 Step 6 provides scheduling for your new task. The frequency for CMS backup tasks is completely a matter of your backup strategy. For most cases, daily backups are enough for Prestashop data. On a last step, give your task a name and finish the task creation wizard. Congratulations! You automate your Prestashop website backup; Handy Backup will do the rest for you. With Handy Backup, you can restore Prestashop website when you need. Just create the restoration task, the thing only slightly different from backup task creation. Select your Prestashop backup on the Step 2, and then choose the destination on the Step 3. Moreover, you do not tied to restore your Prestashop data to the previous location of your website! Select a completely new destination for your backup, to mirror, replicate or migrate your website content to completely different place (perhaps, to other web hosting). It is so simple! Now why not to try Handy Backup to organize Prestashop backup immediately? Just download the 30-day trial version with a whole set of functions, to learn all its might and cleverness!